Gold closed Monday at a seven-week high of $1,218.60/oz., a 1.5% gain, after more disappointing jobs data eased gold investors’ worries over the Fed raising interest rates. The U.S. employment data, which was released on Friday, showed far fewer jobs were produced in March than expected. In addition, the Institute for Supply Management on Monday reported its non-manufacturing index fell to 56.5% in March from 56.9% in February, indicating slower growth in the service sector. These data led investors to believe the Fed will be in no hurry to raise interest rates, as Fed Chair Janet Yellen has stated the timing of an interest rate hike would depend on improvement in the labor market. The previous week also brought disappointing jobs data from the ADP Research Institute, which led gold to make its biggest jump in two months. In other words, gold might not sustain these relatively low prices for much longer. 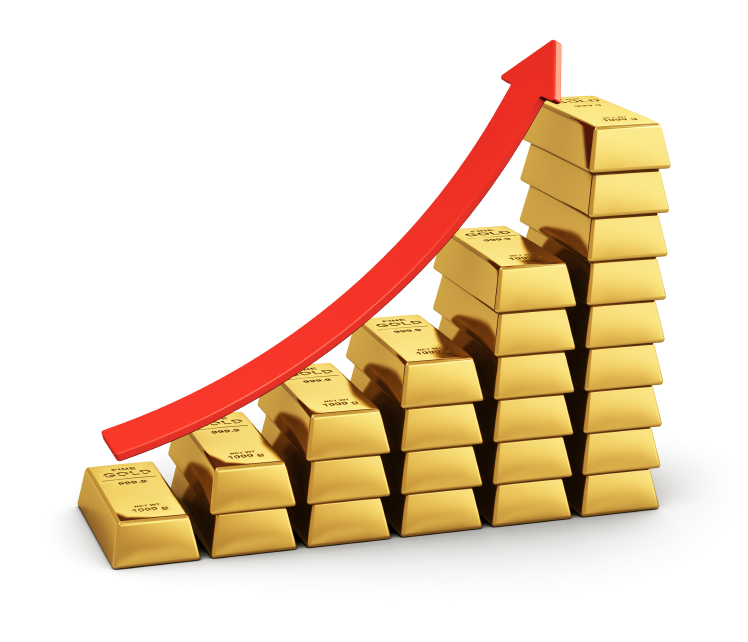 Why not own gold at these levels to protect your finances from a stock market crash? American Bullion can help you own gold for the very first time. It’s fast and safe. Call 1-800-326-9598 to speak with a precious metals specialist, or request your Free Gold Guide. American Bullion, Inc. specializes in converting your IRA, old 401k, or other qualified retirement account to a self-directed IRA capable of holding physical gold coins and bars, known as a Gold IRA or Precious Metals IRA. We’ve pioneered a system to handle all the details for you, tax-free and hassle-free. Want to buy gold and silver and store it yourself, outside of your retirement account? Simple – we’ve insured and shipped millions of dollars’ worth of gold, silver, platinum, and palladium to thousands of homes just like yours. As a U.S. Mint nationally listed dealer, we strive to be the best Gold IRA company in the industry and guarantee every transaction is fast, simple, and secure. See our American Bullion Reviews page for testimonials from our many satisfied clients.